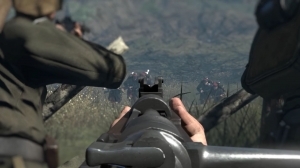 Verdun is a squad-based multiplayer FPS set in First World War (WW1). 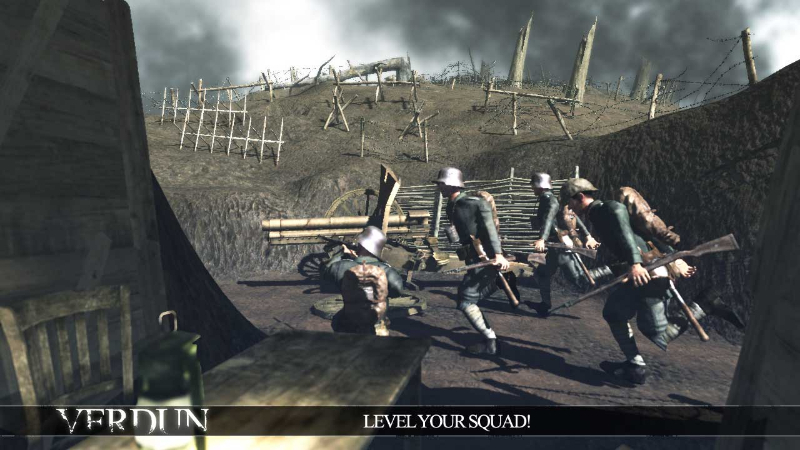 The game is inspired by the infamous battle of Verdun in 1916. 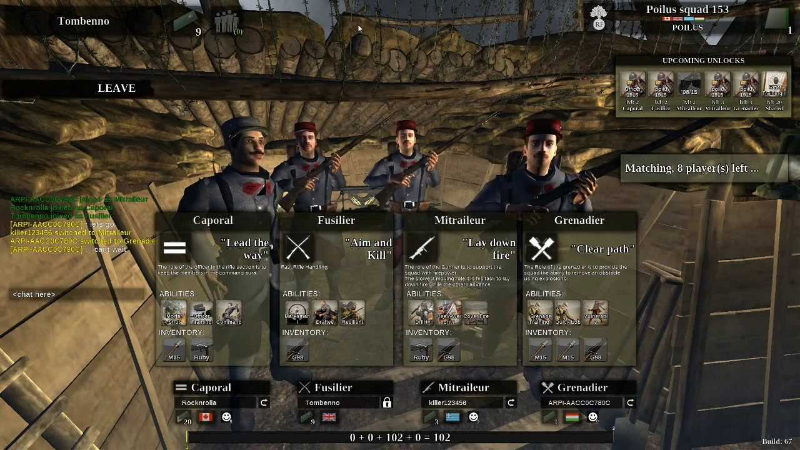 It includes historically accurate features such as true WW1 weaponry, historical maps based on sectors of the Western Front and authentic uniforms and equipment. 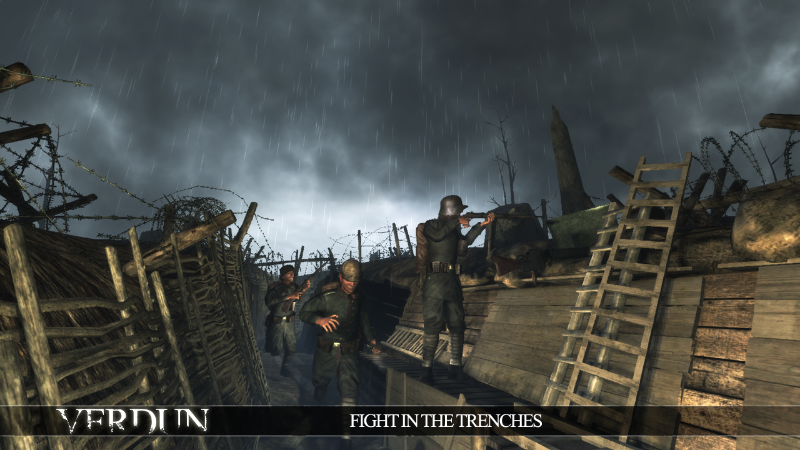 True Trench Warfare: Capture the fear, desperation, and visceral violence of the trenches of the Great War with a real-time, dynamic frontline. 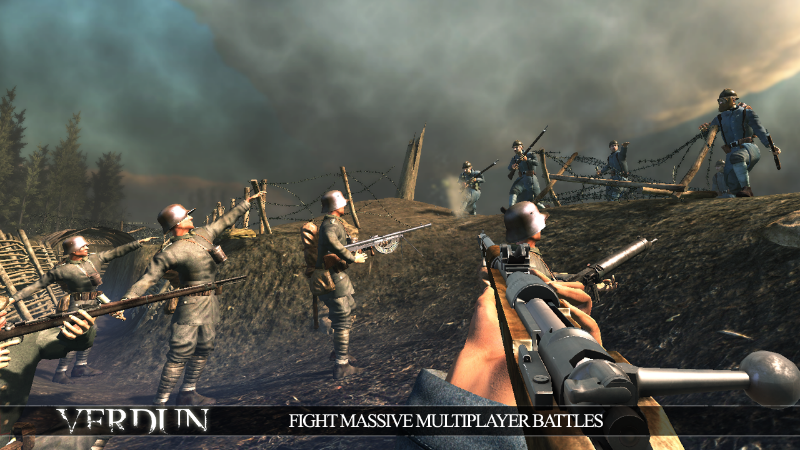 Momentum-based attack and counter-attack gameplay conveys a sense of intense, bone-crunching impact with bayonets and muddy, gruesome combat. 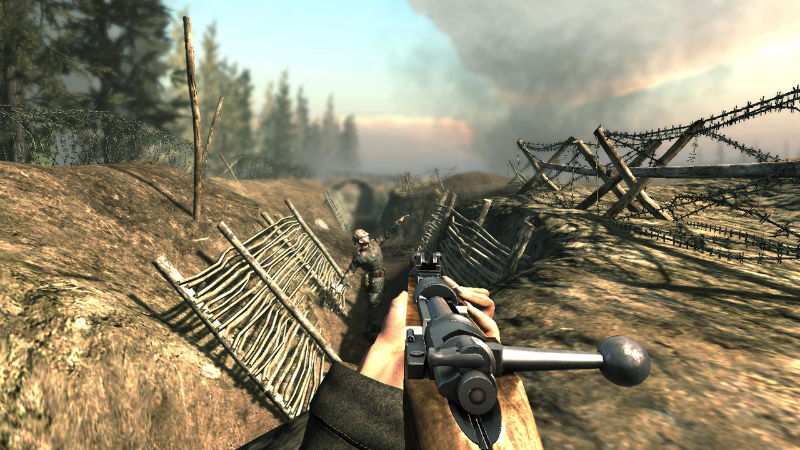 Frontlines Mode: The Frontlines game mode is unique in its tactical complexity, where you are leveling different types of squads, each with your own tactics and roles. 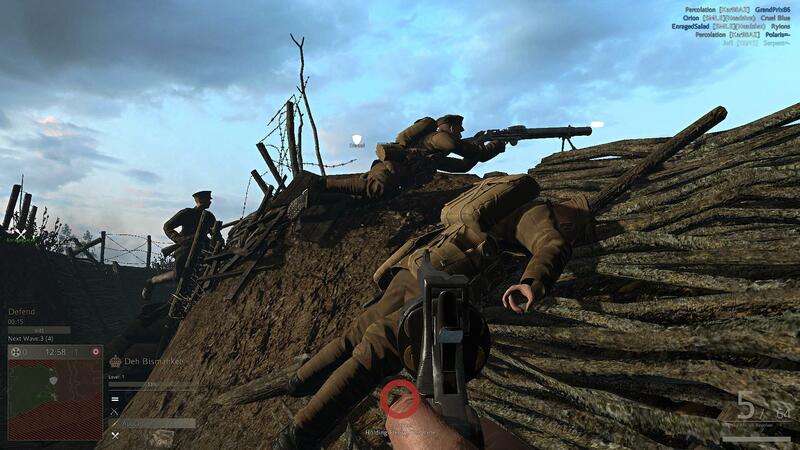 The realistic trenches are an extra challenge in the fight, where teamwork and tactical cunning are essential for success. Drive your enemies from their trenches and dominate the Western Front! Chemical Warfare: Experience first-hand the brutal terror of chemical warfare, as your friends and allies choke to death on burning mustard gas. Don your gas mask for an immersive experience in heavy breathing and claustrophobia, and take the fight straight back to those who would use such vile tactics against you. 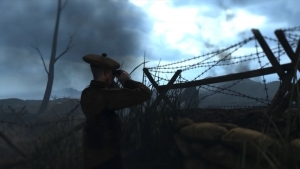 There aren't enough WW1 FPS; however, Verdun is now live on PS4, XB1 and PC! 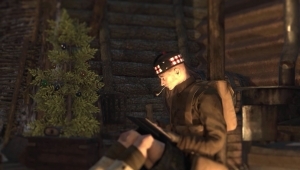 Free Verdun update: Highlander Squad introduced! There can be only one. . .wait, wrong IP. The Highlander squad is introduced in a free Verdun update!